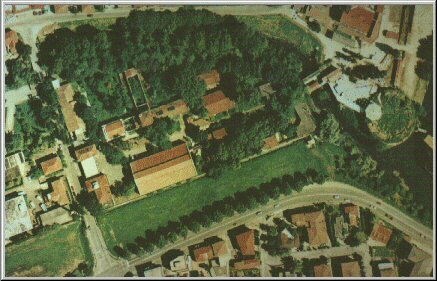 From 1991 to date the laboratory Artaud has its headquarters in a building of 100 square meters located in the Park Educational Ex-Slaughterhouse of Padua, in the city center and adjacent to the Bastion Vecchio Portello or San Massimo. The space consists of two rooms, one used as a room – workshop (70 sqm.) and the other organizing secretariat, seat of the documentation center Nanaqui. The renovation of the premises, which began in 1991 and concluded in 1994, have been completely self-funded and allowed the functional recovery of the building itself now in a state of deterioration and abandonment: the floor of the room completely insulated and finished floors, the ceiling insulated panels, sanding and finishing of interior walls, the installation of the gateway and the controfinestratura with original windows and wooden windows, the preparation of an electrical system. In the room dedicated to answering the renovations have instead provided as well as the restoration of the original windows and controfinestratura the same with wooden frames, the scraping and cleaning of the interior walls and the construction of a mezzanine removable in order to accommodate the documentation Center for the performing arts. Additional maintenance and conservation carried out in these years, then allowed to sleep in the building, theater workshops for adults, children and people in distress, as well as workshops, theater performances and solos for individual Eastern actresses open to public, returning to the citizens gathered a theatrical space, dialogue, and cultural proposal.